The veto comes just 24 hours after lawmakers passed the legislation. THE GOVERNOR OF the US state of Oklahoma has vetoed a bill outlawing abortion, saying it was too vague and would not stand up to legal challenges. “The absence of any definition, analysis or medical standard renders this exception vague, indefinite and vulnerable to subjective interpretation and application,” she added. Fallin, who is known for her anti-abortion views, has been mentioned as a potential running mate to Donald Trump, the presumptive Republican presidential nominee. 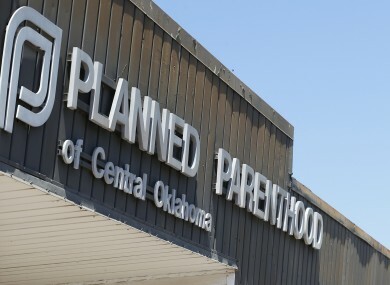 Her veto came barely 24 hours after lawmakers in Oklahoma passed the legislation which would have made performing abortions a crime punishable by up to three years in prison. The measure, which was sure to face legal challenges, was introduced by Republican Senator Nathan Dahm, who has said he hoped it would lead to overturning Roe v. Wade, the 1973 Supreme Court decision that legalised abortion in the United States. In Washington, Senate Republicans have blocked efforts by US President Barack Obama to replace conservative justice Antonin Scalia, who died in February. The Republican lawmakers argue the seat should remain vacant until a new president is sworn in next year. Abortion remains a hot-button issue in America and a number of states have moved in recent years to enact abortion restrictions that have led to the closure of many clinics. Email “US governor blocks law which would have seen doctors jailed for performing abortions”. Feedback on “US governor blocks law which would have seen doctors jailed for performing abortions”.